Compare front load washing machines from Miele, Simpson, Bosch, Fisher & Paykel, LG, Samsung, Electrolux and Whirlpool on performance & reliability, ease of use, quietness, design, features and value for money, with Canstar Blue’s 2018 customer satisfaction review & ratings. No matter how many times a week you do your laundry, your washing machine plays an integral role in keeping your family home moving. It’s the appliance that many of us simply can’t do without (unless you prefer to wash all your clothes by hand). There would be no clean school uniforms or work shirts and no clean bed sheets, so finding the right washing machine for your household is important. Whether you’re looking for the cheapest washing machine available, or one with all the bells and whistles, you’ve come to the right place for guidance! 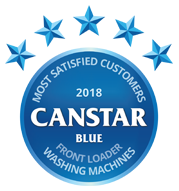 Each year, Canstar Blue surveys hundreds of households across Australia, to find out how they rate their front load washing machine based on important factors such as ease of use, features, quietness, and the value for money they think it represents. 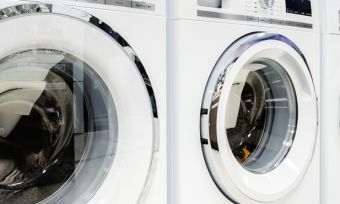 Washing machines aren’t the easiest appliance to replace, so it really does pay to do your research, and finding out what other consumers just like you think about all the major brands is a great place to start. For the fifth year running, Miele has earned top spot in our customer satisfaction ratings for front load washing machines. The German appliance powerhouse certainly knows how to keep Aussies happy in the laundry room, receiving five-star reviews for overall satisfaction, in addition to most other research categories. Its four-star rating on value is perhaps a reflection of the fact that Miele also happens to be one of the most expensive washing machine brands around. But it seems that Aussies can see the value in paying extra for quality. It was four stars overall for Simpson, Bosch, Fisher & Paykel and LG, while Samsung, Electrolux and Whirlpool received three stars apiece. 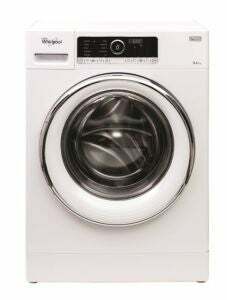 The only other brand to rate five stars in any category this year was Simpson with its front load washers earning top reviews for their ease of use, quietness and value for money. Bosch, Fisher & Paykel and LG all received consistent four star ratings across all categories. 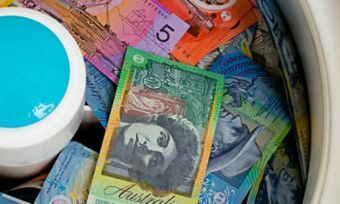 To help you decide which brand may be the best fit for your needs and budget, here is a guide to the eight brands in our latest review and what they currently have to offer Aussie households. Miele is known as a high-end appliance brand, but evidently consumers look at more than just price alone, instead appreciating proven quality. Miele is a German manufacturer, with many of its products still made in Europe. Miele was rated five stars for overall satisfaction and most other categories, except for value for money where it was still rated a respectable four stars. Miele is an innovative brand, but doesn’t lose sight of the basics. It seems to excel in terms of ease of use, reliability and overall performance, with many of its washers featuring the intelligent ‘TwinDos’ detergent system which ensures the optimum level of detergent is used to achieve the best cleaning results possible. Miele has various front loader models on offer, with prices set as low as $1,499 and as much as almost $5,000. Their high energy-efficiency ratings, however, should help to get some of that back in the form of reduced power bills over time. 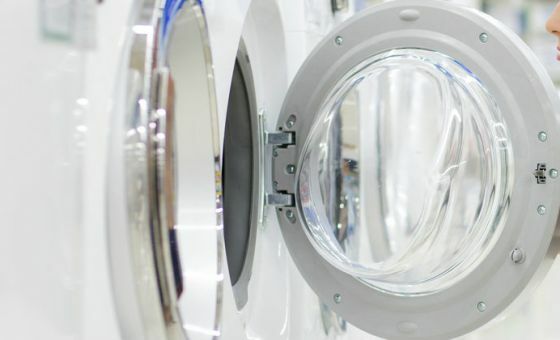 Australian favourite Simpson is now owned by Electrolux, but its motto – ‘Quality kept simple’ – is still very much reflected in its washing machines that focus on being solid value for money. Simpson front loaders are all around the middle-road as far as capacity goes – two with an 8kg load capacity and one with 7kg. Prices range from $719 to $869 RRP. Simpson boasts larger hatches and drums for easy access as well as durable inverter motors with a 10 year warranty (parts only). Expect features such a Digital display dictating how much time is left on the cycle, Rinse+ option for additional rinsing and Delayed start times to make use of the off-peak energy tariffs. Simpson front loaders are also equipped with a pause and add button, so you can throw in a missed sock mid-cycle. Additionally, the units feature auto water level sensing systems, said to ensure there is just the right amount of water for the cycle. In terms of energy efficiency ratings, all machines score 3.5 stars. In our 2018 review, Simpson rated five stars for ease of use, quietness and value for money while also scoring four stars on design, features, performance and reliability. Bosch is another high-end German manufacturer, known for making feature-rich front loaders and numerous other household appliances. Some of its front loaders are still made in Germany, with many models boasting WELS water efficiency ratings of four stars or higher. Some consume as little as around 60L per cycle, which is around half the consumption of a typical top loader. The Bosch range also includes the ‘iDos’ water and detergent saver, sensing and using the required amount of detergent and water. The drum detects the load weight, fabric type and degree of soiling, and adjusts the levels accordingly. Most Bosch models cost well over $1,000, with the full range sitting between $999 and $2,599. Sizes include 7kg models as well as 8kg and 9kg. Bosch was a solid performer in our 2018 review, rating four stars for overall satisfaction and for every other category. Fisher & Paykel is a New Zealand-based appliance brand and while much of its manufacturing is now offshore, the Kiwi company is still known for making innovative, feature-rich and efficient front load washing machines. Its models hover around the middle-end of the capacity range, 7.5kg to 8.5kg. The range can generally be broken into three categories – WashSmart, FabricSmart and QuickSmart. The names are suggestive, with WashSmart models offering the ability to pause the wash cycle to allow you to insert forgotten items. Few brands boast this feature and Fisher & Paykel does it with water efficiency in mind, with many models having 4.5-star WELS ratings or better. Many washers can be found for less than $1,000, with the most expensive model being priced at $1,399 RRP, so quality doesn’t always mean high costs. While Fisher & Paykel earned top spot for its top loaders, it received a four star review for its front loaders. Nevertheless the four stars were consistent across all the major categories including value for money and features. South Korean electronics giant LG boasts a fairly large range of front loader washing machines. Models range between 7kg and 15kg in load capacity, so you’re likely to find one for every household size. The dearer and larger models also have fairly large feature lists, with functions such as the ‘TurboClean’ and ‘TrueSteam’ to help take much of the fuss out of washing clothes. TurboClean apparently helps cut rinse cycles by up to 30 minutes, with water usage cut by up to 45%. Meanwhile TrueSteam is a feature that uses ultra-high temperatures to steam the water and enable tough stains to be removed. To get a complement of features, you’ll generally have to be willing to spend at least $1,000, while larger models can cost more than $2,000. Basic models can be found for around $800. Expect energy and water efficiency ratings of between 3.5 and 4.5 stars out of six. LG was rated four stars in every category in 2018, making it a solid all-round performer. 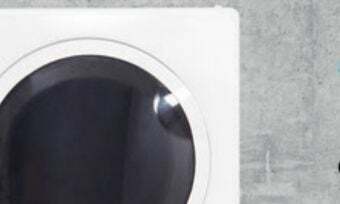 Another South Korean tech & appliance giant, Samsung offers front loader washing machines with sleek appearances and different finish types to suit any laundry room. Perhaps you’re into the black appliance trend – well, Samsung has you covered in that department. Capacities are on the large side, with many models exceeding 10kg. There is also a massive 16kg model with a smaller 2.5kg compartment that can run simultaneously (WF16M9945KV). Samsung is one of few brands to boast pause-cycle functions to add more clothes – Samsung calls it ‘AddWash’. 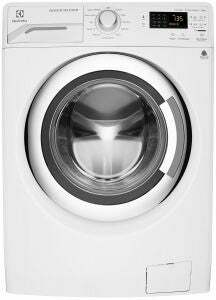 With large capacities and AddWash features, Samsung’s motto is ‘Less Loads – More Life’, and with some models featuring cycle times of as short as 15 minutes, it’s easy to see why. Similarly to LG, Samsung front loaders average around 4-4.5 stars for energy and water efficiency ratings. 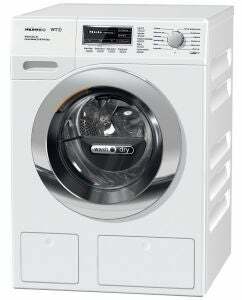 Samsung washing machines can be found for under $1,000, while the largest ones are over $2,000. Samsung got three stars for overall satisfaction and most areas in our latest review, with four stars for quietness. Electrolux is a Swedish brand, with a focus on innovative laundry appliances. 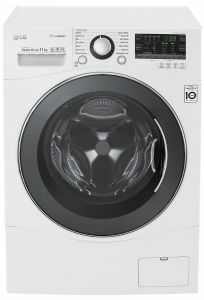 Most of its front load washing machines skew to the middle end of the capacity spectrum – from 7.5kg to 10kg capacities. Electrolux front loaders are known for efficiency, with many of its models featuring five-star energy ratings and 4.5-star or better WELS ratings. 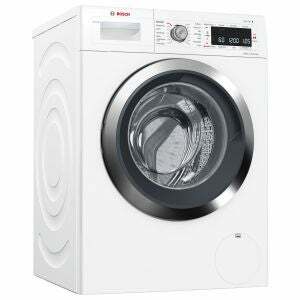 Its 10kg model (EWF14013), for example, uses just 84L per cycle, which seems quite an achievement given the capacity. Many models feature more than 10 washing programs – including quick washes – with the ability to save your favourite program. 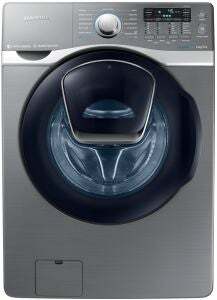 Electrolux front loaders start at the retail price tag of $999 and max out at $1,999 for the 10kg washer. In our 2018 review, Electrolux was rated three stars for overall satisfaction as well as for all other categories. Rounding out this year’s ratings is Whirlpool, with one front loader on offer at the time of writing. The Whirlpool 8.5kg model (FSCR10420) features ‘ZENTechnology’, claimed to reduce vibration and noise. It’s also boasted for the ‘6th Sense Intelligence’ technology that makes adjustments based on the load. Along with an adaptive sensor to detect the optimal amount of detergent, this Whirlpool washer received a four out of six stars for both water and energy efficiency ratings. You can find the 8.5kg unit with a price tag of around $700. For overall customer satisfaction, Whirlpool was rated just three stars. However, it did manage to score four stars in terms of features and value for money. While these brands didn’t garner enough survey responses to be included in our ratings, they may still have plenty to offer. Some brands come relatively cheap, while others are feature-rich with intelligent detergent dispensers, load sensors and high energy and water efficiency ratings. There are pros and cons to buying a front load washing machine, but in general they will be suited to small households or those living in a small to average sized home. However, there are also options for larger households, with some brands boasting 10kg load capacities and up. If space is at a premium at your place, you could feasibly stack your front loader on top of – or below – your clothes dryer. You can’t do that with a top loader washing machine. We list some specific factors to think about before buying a front loader below. 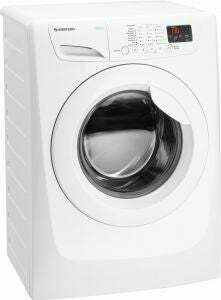 The capacity of washing machines is measured in kilograms (i.e. the kg weight of your clothes). Front load washing machines come in a wide range of sizes, so it’s easy to find the perfect fit for your laundry room. Front loaders can be quite small – around 5-6kg in capacity – but you’ll also find plenty of larger washers around 10-11kg in capacity. Electrolux, LG and Samsung are some of the biggest names to offer large capacity front loaders, while most major brands have small models. You can find front loaders as big as 16kg in capacity! But when it comes to capacity, bigger is not always better. Unless you like using more electricity and water than you need to, it’s important to pick the right size washer for your family’s needs. The table below gives a general idea of what size you’ll need. As you’d expect, the bigger the washing machine, the higher the purchase price in general. In addition to various fancy features, the price of washing machines is largely dictated by their water and energy efficient ratings. The higher the rating, the more efficient the washer will be and the more you’ll stand to save in ongoing energy costs. However, the most energy-efficient front loader washing machines come with higher price tags, so you’ll need to consider whether or not the extra upfront cost is worth it. Add clothes mid-wash:If you’ve ever started your washing machine only to find a stray sock in the laundry basket, then the AddWash range from Samsung might appeal. These machines come fitted with an additional small ‘door’ that can be opened during a cycle, allowing you to throw in those forgotten items. Other brands, including Simpson, Fisher & Paykel and Samsung also boast features that allow you to pause the cycle and add more clothes. Iron your clothes in the wash:Not content with just washing or drying your clothes, a number of manufactures now have appliances capable of ‘ironing’ your clothes for you. This is achieved through steam and anti-crease functions that can mean your business shirts are ready to wear straight out of the washer. Miele and Electrolux are two of the brands with appliances in this space. 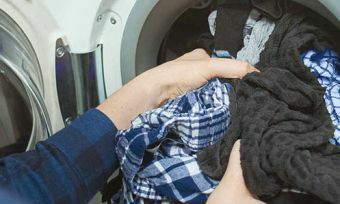 Wash your clothes in super quick time:If you’re tired of thorough washes taking too long, you’ll be pleased to know that several big manufacturers now boast super quick wash times, without compromising on the quality of the clean. Miele and LG are two of the brands claiming speedy yet perfect results in under an hour. As you can see, it’s all about finding a balance between efficiency and value for money – areas in which Miele and Simpson were the two standout brands in our 2018 review. If you’re preparing to splash the cash on a new front load washing machine, we hope our ratings report proves helpful. Canstar Blue commissioned Colmar Brunton to survey 3,500 Australian adults across a range of categories to measure and track customer satisfaction. The outcomes reported are the results from customers within the survey group who have purchased and used a washing machine in the last 3 years – in this case, 839 people. Washing machines can be extremely expensive, so here is a guide to some of the best, cheap models on the market. 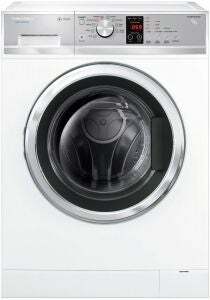 Which are best, top or front load washing machines? Join the debate as Canstar Blue weighs up the advantages and disadvantages of both.